Last week saw positively balmy weather with sunshine and temperatures as high as 17 & 19 C. The past week did not match up to that and I have had a week off filled with gale force winds, rain and lots more rain. Even as I write it is bucketing down outside. I went out yesterday around the Wolds but my trip to various places was a washout with cold blowy weather and little remotely enjoyable about it. 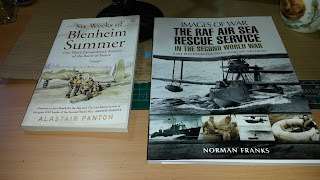 I have always had a yen for flying boats since I saw one as a kid at the RAF Hendon museum many years ago and the air sea rescue book will be a pleasure to read. Again, it will provide background information for a couple of planned future builds. I bought the Airfix Walrus because it has better details and parts compared with the Smer Walrus but I can also use the decals for an Irish airforce Walrus. The detailed plans of the Airfix kit will provide a guide to scratch build parts and upgrade the Smer kit. The latter will be used for practicing my rigging skills before tackling the better kit. I guess I like flying boats because they are ungainly somewhat ugly looking aircraft but, beauty being in the eye of the beholder, I really like them. Given the current weather and my interest in these aircraft I might be one of the few people on the beach taking photographs of the waves in rough seas and rain. 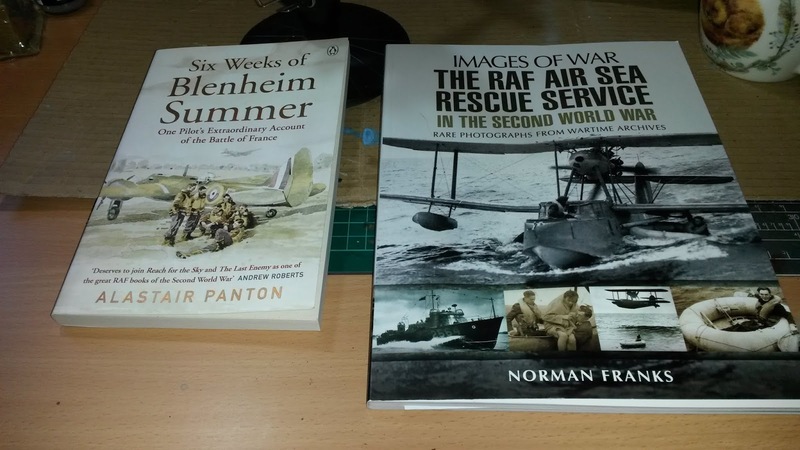 Perhaps I am one of those strange obsessive blokes I have previously blogged about! Did you see the James May programme on BBC4 this week? 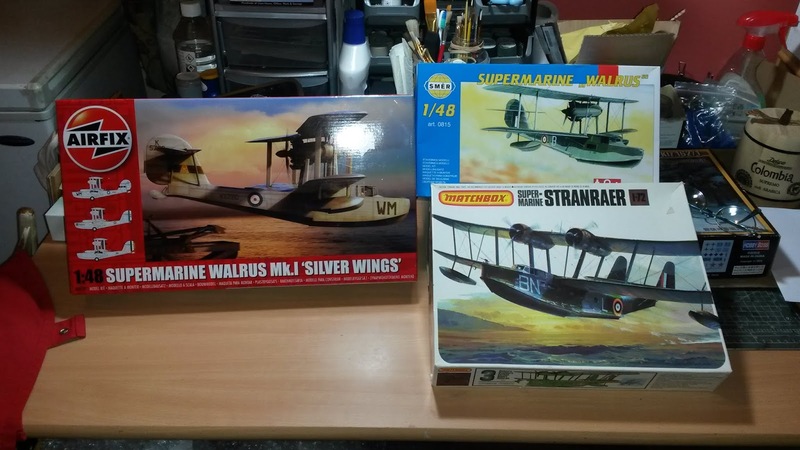 Hornby/Airfix - very interesting, even for me as a non-modeller. Part 2 next week. Ah, I forgot that was on. I'll have to search catch up TV. Thank you for reminding me BW.